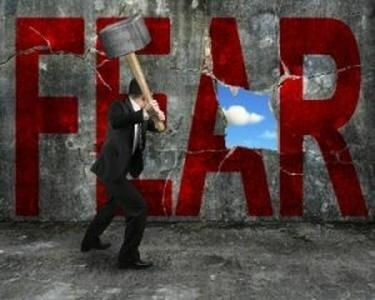 Has Fear Manifested Itself In Your Life? Are you totally calm and confident in your life or do fear and anxiety creep in to send you into a bit of a tailspin getting you stuck spinning your wheels? Well, I know the answer to the question. I must be psychic. Don’t fret over it because you share this with almost all of humanity. There are the rare exceptions and I mean rare. Whether it is your job causing anxiety or a relationship or just about anything else it can take a toll. So how do fear and anxiety get a foothold in your life and push your calm and confident nature to the background? First, let’s look at some difference between these two negative emotions or states of being. Often it’s just a matter of personal definition. For some of us, it is difficult to speak about your fear because you see it as a weakness. 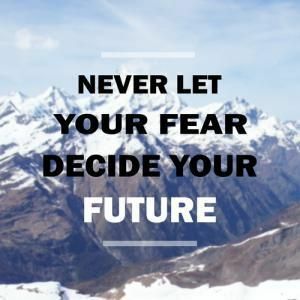 Fear is not always a bad thing but I will get to that in a bit. When you do muster up the courage to put words to your emotions we talk about it as a phobia. I am afraid of this or that. However, we are not really talking about fear but about anxiety. A worry of what is to come or an event that has happened in the past that you can’t seem to shake. Occasionally we differentiate the two emotions fear and anxiety, by our physical experience. For instance, someone is threatening us with physical harm. What goes through your subconscious mind and often your conscious mind is that there is an imminent danger of personal injury and even the possibility of death. There are a varied number of neurobiological conditions that can occur. Your heart rate goes up, your adrenaline begins to rush, your body temperature rises, you begin to perspire you may even begin to show signs of nervous twitches or unvoluntary quivering to name just a few. Any signs of you being calm and confident flew out the window. Here is a list of the top 10 types of fear that people have that can put them in a state where they will display one or all of these indications of fear. Aerophobia… Fear Of Flying: Many people suffer from this at a level of anything from anxious to deadly afraid. There are over 25 million in the USA alone that share this issue. We have all sat beside a white knuckle flyer at some point. It might have even been you. Glossophobia … Fear Of Public Speaking: The fear of public speaking. Even old pros at public speaking still get the urge to run at times. Listen in to the podcast. Corry shares whence this phobia actually originated. Acrophobia… Fear Of Heights: Everyone has some form of this depending on how high and how secure your perch is. 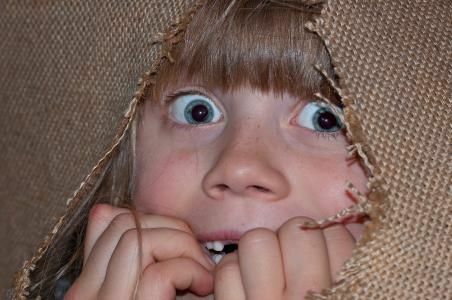 Nyctophobia … Fear Of The Dark: This is usually associated with children but if you have ever been home alone in the dark and the house noises begin you too may have the tendency to tense up. Aphenphosmphobia… Fear Of Intimacy: You would think the fear of not being loved would be far ahead of this but that isn’t the fact. In actuality, it is mostly a male phobia. Thanatophobia… Fear Of Death. Surprisingly this is not at the top of the list even though we will all face this at one point in our physical journey. I feel that it is not as much death as it is how we may die that has me a little perturbed. By the way, this phobia is not just related to the fear of your death but also of dead things. Atychiphobia … Fear Of Failure: It isn’t the lack of opportunity that holds people back from success. It is the fear of failure. Fear Of Rejection: even though this is high on the list it really hasn’t been assigned a Greek phobia name. Actually, it can be considered more of a Borderline Personality Disorder, social anxiety of some form. The closest to it is Autophobia: the fear of abandonment. 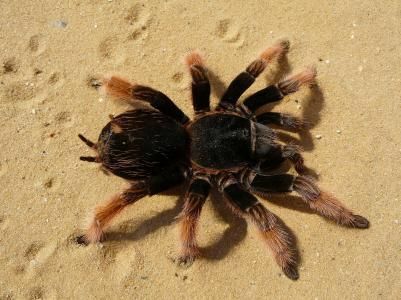 Arachnophobia… Fear Of Spiders: I can hear the shudders and tiny screams already and that’s just from the men. Need I say anymore. Gamophobia … Fear Of Commitment: Apparently this is another male based phobia. The fear being with someone ’till death do you part’. Did you feel any of the stress and anxiety symptoms mentioned above when you read through this list if fears? One of the ways people tend to try to alleviate fear or anxiety is through stress management techniques. This can work but understanding the two can give you a better result. Now, let’s take a closer look at anxiety. Anxiety is also the word of choice to describe lingering apprehension, or a chronic sense of worry or tension, the sources of which may be totally unclear. Wikipedia– a feeling of worry, nervousness, or unease, typically about an imminent event or something with an uncertain outcome. Merriam Webster– an abnormal and overwhelming sense of apprehension and fear often marked by physical signs (such as tension, sweating, and increased pulse rate), by doubt concerning the reality and nature of the threat, and by self-doubt about one’s capacity to cope with it. Yet mostly we place the expectation that “fear” means something larger and more sinister than “anxiety” as it appears in your reality. Anxiety can overtake you in many ways. It can cause you to freeze from taking action, you can suffer from lack of sleep because you are worried about something coming up that has you panicky. In actuality, it really is of no importance which term you use for it, fear, anxiety, dread, trepidation, or even panic it is only linguistics. Living through the experience, getting past it is what is important. Today we have a special guest who has a new book coming out on exactly this subject. Her name is Rev. Connie L. Habash and the book is called: ‘Calm and Confident: 7 Spiritual Keys to Overcoming Anxiety” and she really is calm and confident. Rev. Connie believes that no one opts to have anxiety, fear, and shame, envelope their lives. However, we can’t dodge these emotions. She believes that if you can harness how you approach these negative feelings will allow you to be less affected by their hold on your happiness. Connie feels that these feelings that most of us dread can actually be guides to live a fuller life. Understanding them can lead you to live more fully in the present and move into the future with courage, clarity, humor, and hope. When you allow anxiety or fear to rule your life you become stuck. Even if you are a spiritual person or maybe even more so then anxiety can be harmful to your countenance and journey. The one way she feels that you can overcome fear and anxiety is by relying on the true nature of who you are, Spirit. Spirit is calm and confident, unlimited, peaceful, empowered, loving, and joyful. She uses many different techniques to help her clients overcome the blocks in life. Some of these are: Breathing techniques, Body sensation awareness, Mindfulness and Meditation, Yoga postures, and Awakening Self just to name a few. Why are spiritual people are more susceptible to anxiety, stress, worry, and overwhelm? What was your journey through anxiety? What is the spiritual purpose of anxiety? How can it help us to grow? What are some Mis-Takes that spiritual people make that actually increase their anxiety? Why is Presence the foundational key in your book? How do they help calm anxiety? What is Embodiment? Why it is important for spiritual seekers, and for people who have anxiety? What is Self-Compassion, and why is it important to calm anxiety? What do you mean in your book by the need to feel our anxiety? Aren’t we already feeling it too much? Join us on this episode of Unlocking Your Truth, Calm And Confident, How To Deal With Fear, with Rev. Connie L. Habash MA, LMFT who will help us understand why spiritual people are more prone to anxiety (they’re not alone!) and how they can overcome it and get back on their path of enlightenment. The best tool to reduce fear and anxiety. How to deal with anxiety and stress. How to deal with anxiety attacks. Unlocking Your Truth is my weekly radio show where we discuss all things metaphysical like Calm And Confident, How To Deal With Fear! And much more! The show airs on CIVL 101.7 FM at 7-8PM (Pacific Time) every Tuesday evening or live-stream the show at CIVL.ca. During each of our Unlocking Your Truth episodes, we also answer email questions from our listeners (click here to submit a question) as well as occasionally do readings live on air for our call in guests. You can call in 604.504.7441 ext 4142 and ask anything you want.